Located on 600 acres in the heart of the Blue Ridge Mountains of Western North Carolina, Camp Rockmont's focus is male development in an intentional Christian community. 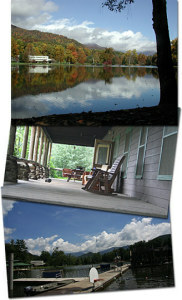 Activities include camping, hiking, kayaking, blacksmithing, homesteading, canoeing, crafts, guitar, Bible study, and more! Campers live in a cabin of 8-12 boys their age, select 4 skills to develop and master, and participate in large-group activities with their age group. Rockmont seeks to foster a better understanding and respect for self and others through group living and shared experiences; an appreciation and concern for the environment; greater self-reliance, self-respect, self-confidence, and self-esteem; stronger Christian values; and a greater understanding of the life and teachings of Jesus Christ. 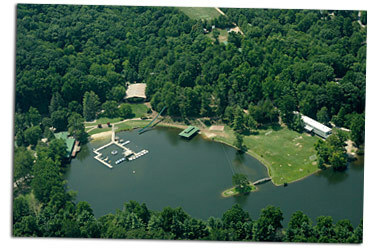 Established in 1956, Camp Rockmont offers a big dose of nature-based challenge, inspiration, and rejuvenation. Camp Rockmont has been a place where boys have found space and opportunity to grow into the men that God is calling each of them to be. Rockmont presents age-appropriate challenges that become the vehicle to personal growth and whole-person development. Campers encounter these growth-inspiring challenges through the cabin experience and through time spent in large-group activities and camp skills – basically, lots of FUN – all of which happens in a supportive community. For the last half century and more, Rockmont has been developing a language around male development, honing in on what it means to grow as a young man. One of the more recent chapters in the Rockmont story includes the introduction of our co-ed Day Camp in 2009. Having strengthened our core program for boys, we had a strong desire to open up a whole new ministry opportunity to both boys and girls who live close by, or for whose families want to spend some time nearby in the mountains. The Rockmont Day Camp seeks to help each child understand God’s love for them as they play, explore, create, and grow in self-confidence.